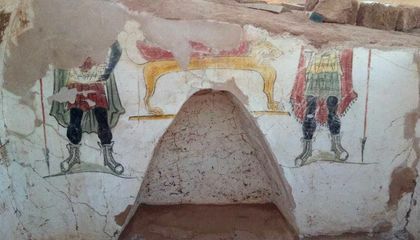 Egypt says archaeologists have uncovered two ancient tombs. They date back to the Roman period in the country's Western Desert. 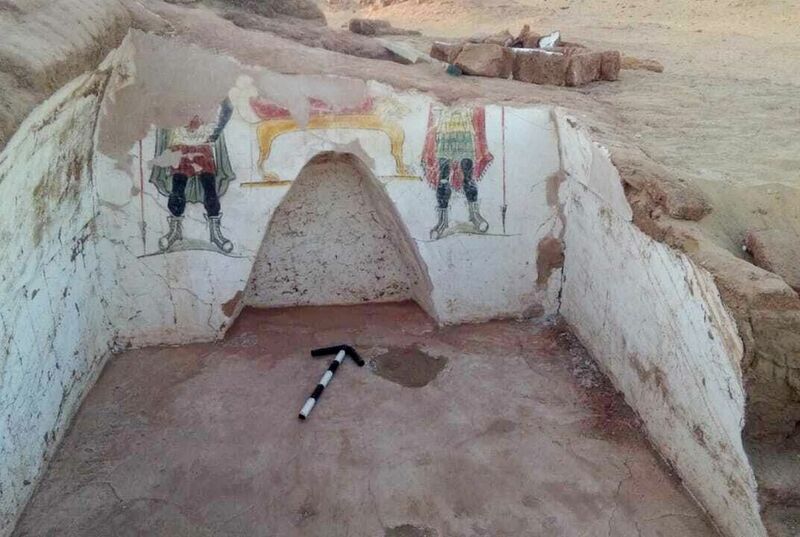 The Antiquities Ministry said the excavations took place in the Beir Al-Shaghala archaeological site. It is in the Dakhla Oasis. Mostafa Waziri is secretary general of the Supreme Council of Antiquities. He says the tombs were built in mud-brick with different architectural styles. He says archaeologists uncovered ancient human remains and pottery fragments. These were inside the tombs. They also found colorful funeral paintings on the walls. These were in both tombs. In recent years, Egypt has heavily promoted new archaeological finds. They have promoted them to international media and diplomats. They hope to attract more visitors to the country. The vital tourism sector. It has suffered from the years of political turmoil. This has been happening since the 2011 uprising. I love history especially Egypt history. these findings are an important piece for humanity, they serve to give us an idea of ? ?what life was like in the past, to my point of view thanks to the work of archaeologists and all these discoveries you can learn new things and thus be able to attract more tourism to improve the economy. Without a doubt, these types of discoveries are very interesting. I think this discovery is really cool because rome-era tombs are from way back when. I think this is an import do you scrub Marie because they are really old. With these discoveries it will probably increase the tourism in Egypt, it is interesting that around the world we can find new old things. I believe that the tombs found will help to know more about that culture. I think it is important because it is verified that there was a cyclization in that place and when examining those pieces that are found there you can discover more of what is known about that civilization because they are treasures since before things were put in another way and people had another lifestyle that allowed them to last up to many years more than the people of today. archaeologist have made great discoveries of ancient remains and pictures in Egypt so that arrive more turism at the place. Egypt is without a doubt a place full of history and events that have been an important part of the history of the whole world and of which many questions about our old world are unleashed, only the real connoisseurs will visit Egypt to delight with the new discoveries of the archaeologists.